DBR & Sons Roofing - Fascia/Soffits/Guttering, Roofer, Windows/Doors/Conservatories based in Morden, Greater London. We are a small, friendly, family business specialising in all aspects of roofing. My brothers, Dean and Damien, have over 20 years combined roofing experience working for reputable roofing companies, we are highly reliable and professional, taking pride in our work. 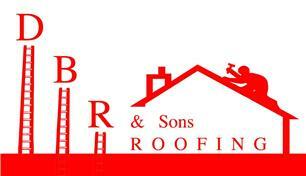 In 2013 we founded DBR & SONS ROOFING. Call or email us for free advice and quotes.